When will be Faerie Tale Theatre next episode air date? Is Faerie Tale Theatre renewed or cancelled? Where to countdown Faerie Tale Theatre air dates? Is Faerie Tale Theatre worth watching? 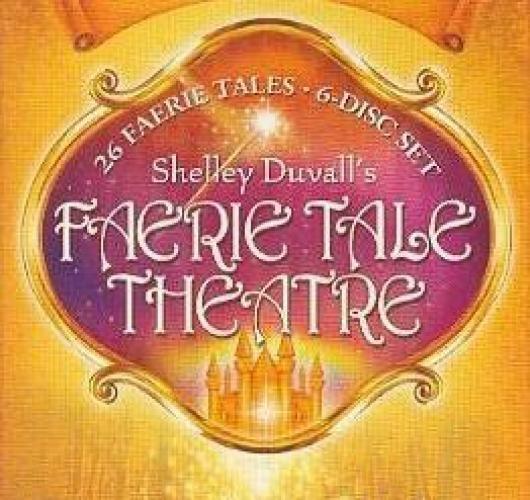 Shelley Duvall's Faerie Tale Theatre brings to life twenty-six of the most magical fairy tales of all time. Directed by such masters of cinema as Tim Burton and Francis Ford Coppola, and star-powered by Robin Williams, Billy Crystal, Mick Jagger, James Earl Jones, Howie Mandel, Christopher Reeve, Susan Sarandon and more, this collection is an unparalleled treasury of best-loved tales of enchantment, adventure and wonder. Faerie Tale Theatre next episode air date provides TVMaze for you. EpisoDate.com is your TV show guide to Countdown Faerie Tale Theatre Episode Air Dates and to stay in touch with Faerie Tale Theatre next episode Air Date and your others favorite TV Shows. Add the shows you like to a "Watchlist" and let the site take it from there.